Smartphone Fanatics: I've Got The 'End of Contract' Itch. What Do I Do Now? I've Got The 'End of Contract' Itch. What Do I Do Now? So what am I suppose to do with my 22 month old Sprint edition Palm Pre running a pre-release beta build of webOS 2.0.1? I think for the next six months I'm going to continue on Sprint (with at least four months going contract free), buying a replacement stock Palm Pre/Pixi battery, and going back to webOS 1.4.5. 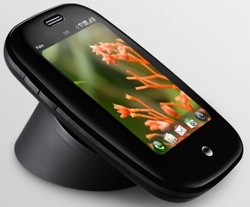 So, fellow Palm Pre users still rockin' it on Sprint, what are we going to do on June 6, 2011? Time is almost up. Alan, have you heard about getting an unlocked (GSM) Pre 2 and modifying it with your Sprint Pre comm board? I have read posts of people on Precentral who have done this. Sounds harder than it is apparently....and it basically gives you a Sprint Pre 2. Anyway, that is one option for you. If you can wait though....you could wait and see if the Pre 3 becomes available on Sprint. I have seen rumors where customers have been told to 'wait and see' & those people have taken it to mean that it sounds like it is coming. I personally want it available for purchase in Australia, I don't mind paying full price, I just want to be able to buy it. We have not been able to officially buy anything here as of yet. I have recently obtained my Pre 2 via the developer program, so I am hoping that means that it will be officially available here soon. I think that webOS on PCs, along with the new phones and tablet coming out, will help webOS gain more traction. HP are working hard at present to attract new developers & I do believe it is more applications that will attract more users. I have shown my Pre 2 to some fellow iOS users and they are quite impressed & would consider switching to webOS if the paid app catalog was available here. As for myself, I still have my feet in both iOS and webOS camps. I am a developer though, so that's my excuse.